Less than a month away until the drawing for our Fall Tuition raffle. Have you purchased your ticket yet? A $100 ticket gives you a chance to win $10,000 to be used at any accredited K-12, college or university. Only 500 tickets will be sold. 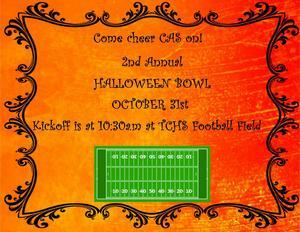 Tickets can be purchased at school events and at the school offices. We're at the halfway point of our Fall Tuition Raffle. Have you purchased your ticket yet? A $100 ticket gives you a chance to win $10,000 to be used at any accredited K-12, college or university. Only 500 tickets will be sold. Tickets can be purchased at school events and at the school offices. See the school website for more details. Great Things Ahead For CAS! 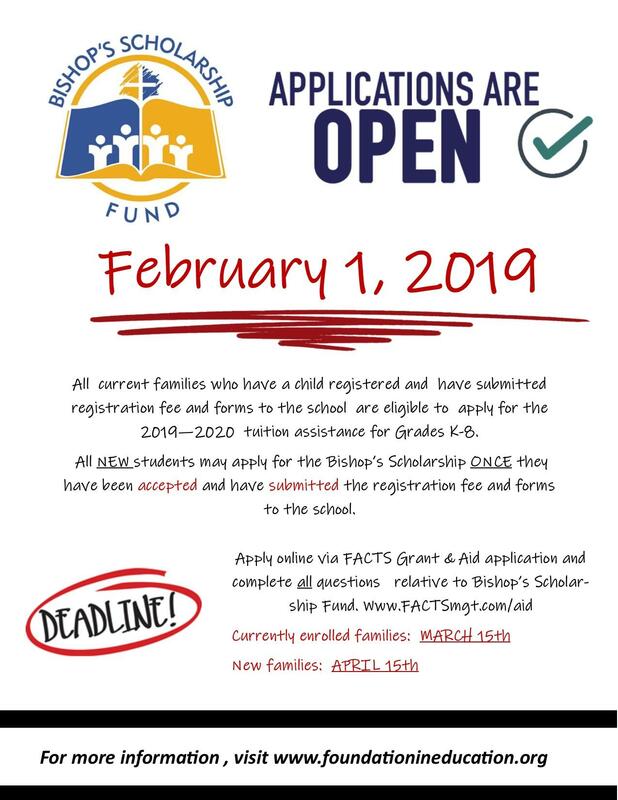 The Catholic Academy of Stamford is very excited to launch our inaugural Tuition Raffle for the 2018-2019 school year. You could win a $10,000 tuition prize which can used for tuition at any accredited K-12 school, college or university located in the U.S. The prize will be paid directly to the educational institution of the winner’s choice. So in other words, you don't have to have a student at The Catholic Academy of Stamford or Trinity Catholic High School in order to participate in the raffle. The drawing will be held on Saturday, December 1, 2018 at the Breakfast with Santa, held at St. Cecilia Church Hall at 10am. The winning ticket holder does not need to be present to win. Good Luck! We hope everyone is having a relaxing and rejuvenating summer…! 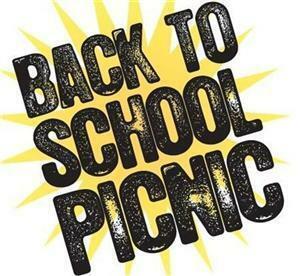 The next school year is fast approaching and we invite you to get ready to return to The Catholic Academy by joining us in celebrating Mass on Saturday, August 25th as a community, followed by a family picnic with our school families. On Friday, June 15th, The Catholic Academy of Stamford Upper School held their first Eighth Grade graduation. The graduates wore their caps and gowns proudly as they walked down the aisle of St. Cecilia Catholic Church. Mass was celebrated with family, friends, faculty and staff. It was a beautiful Mass, and having four con-celebrants, Father Bert Pinciaro, Father Joseph Gill, Monsignor Royal and Monsignor Surwilo made it so special. The graduates are now off soon to begin their new chapter of staring High School. Their new environment will be different and may be difficult at times, but their foundations are solid and their faith is strong! We will certainly miss them and welcome them to come back to visit The Catholic Academy of Stamford at any time. What an inspirational Mass we celebrated this morning with Bishop Caggiano, Fr. Bert, Fr. 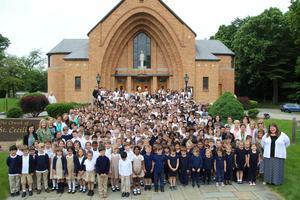 Joseph, and the entire Catholic Academy of Stamford community! In the music joyfully sung by the school choir you could truly feel the presence of God. The angelic voices so enriched our celebration of Mass. And what a tremendous surprise for the students, as the Bishop asked to personally greet, and shake the hand of, each and every student and faculty member, followed by the taking of a photo of our school community with our beloved Bishop. What a great morning; God is so good!